Ser Dontos is the sole survivor of a house that was destroyed at King Aerys’s command for the crime of having taken part in a rebellion against him, but Dontos was spared because he was only a child at the time and because Ser Barristan Selmy—why had rescued the king from the rebels—asked for mercy on the boy’s behalf. 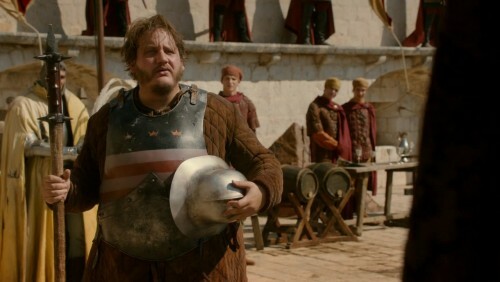 He is present at court around the time of King Joffrey’s ascension to the throne. His skin is blotchy and marked with broken veins, and his legs are said to be pale and skinny.